All summer long I’ve had the company of moths and other flying insects inside of my home thanks to the design of my screens. It’s a rental, so you just sort of deal with it by keeping a fly swatter handy. 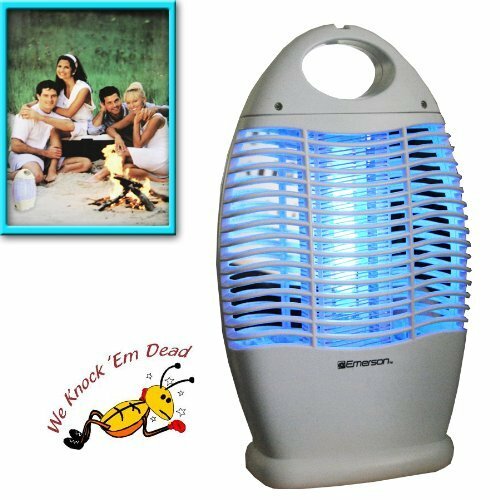 I’d joked many times that we needed an indoor/outdoor bug zapper, thinking no one would ever create such a thing. Well apparently one does exist. This bug zapper has a rechargeable battery that will last up to 10,000 hours and when it dies you just plug it into the wall. This would be great for tents, patios, screened in porches or anywhere else flying insects seem to sneak in. It includes an easy to clean removable bug tray. You can pick one of these Emerson Cordless Bug Zappers for $31.92. You just have to pick yourself one up through Amazon.